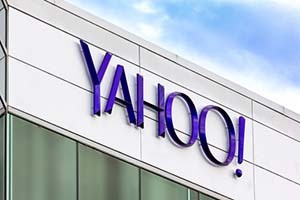 Yahoo earnings will be released this afternoon (Tuesday). But for all intents and purposes, Yahoo earnings are becoming increasingly irrelevant. Yahoo! Inc. (Nasdaq: YHOO) stock derives almost all its value from cash holdings, its 15% stake in Alibaba, and its 2 billion shares in Yahoo! Japan. When all that is accounted for, Yahoo's core business – which boils down to an identity crisis-stricken seller of ad space in a market that has long since passed it by – is not only worthless, but a net negative. In other words, the value of Yahoo stock is being driven down by fact that Yahoo's core business is attached to its much more lucrative cash and stock holdings. All those holdings, based on yesterday's closing prices and exchange rates, total in at $46.8 billion. Yahoo's market cap is $37.1 billion. That means the market values Yahoo's core business at negative $9.7 billion. To break that down even more, the stake in Alibaba Group Holding Ltd. (NYSE: BABA) accounts for $33.78 of yesterday's closing Yahoo stock price of $39.54. Yahoo! Japan accounts for $8.75. Cash holdings account for $7.36. And Yahoo's core business: negative $10.35. Now, obviously Yahoo's core business is not worth negative $10.53 by any true valuation metrics. It does have some value. And if it was worth $0, that is, if it was just worthless and not a net negative, then the Yahoo stock price would be $49.89. Yahoo stock would be undervalued by 26%. But that's hardly the case.